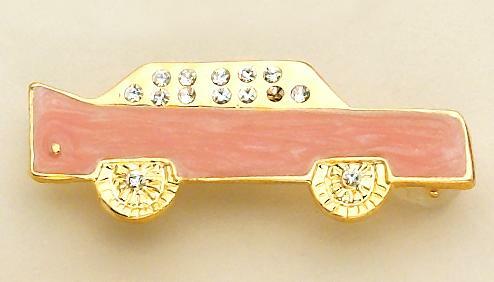 Pink Caddy Car Pin set in gold finish and accented with Austrian crystals. Please specify SIZE when ordering. Small (Tac): 1 in. long; Large (Pin): 1-3/4 in. long. Lead Free. For more caddy items see EA550 earrings, KE13 key chain.